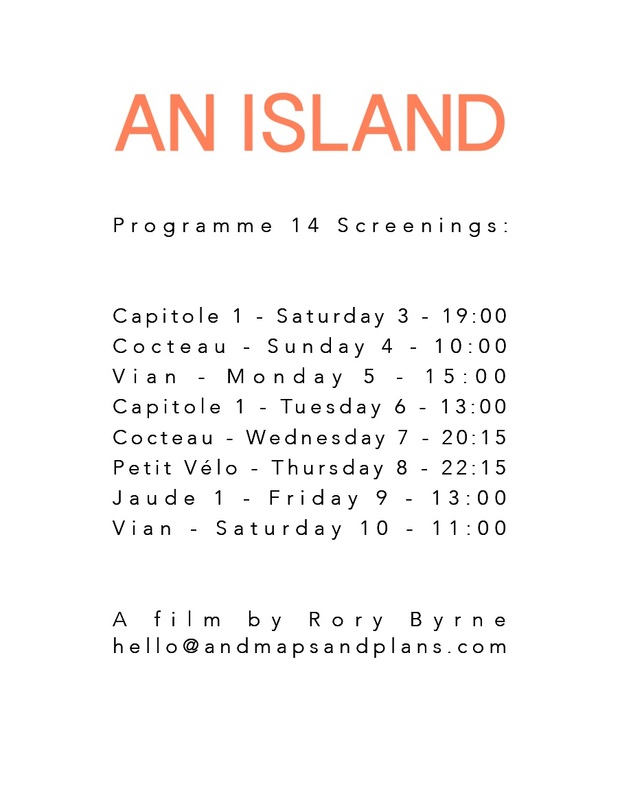 AN ISLAND will screen as part of this years Pictoplasma event. Piece is included in this years CEE Animation Forum pitching event in Třeboň, Czech Republic in May. Piece, our feature film project in development was selected in the concept category at Cartoon Movie 2019 in Bordeaux, France. AN ISLAND has been selected for the official competition at KDIAF in Taipei, Taiwan. Alan Holly has been awarded a residency at the Animation Workshop's Open Workshop in 2019 to the develop the script for our feature film project in development, Piece. AN ISLAND has been given the Grand Prix as well as the Best Music Award at this year's Neum Animated Film Festival in Bosnia and Herzegovina where Rory Byrne was in attendance to accept the award. We are very happy to return this July with AN ISLAND to the Animation Block Party where CODA won the Best in Show in 2014. AN ISLAND will play in competition at the Eurasia International Film Festival in Kazakhstan, where art director Ronan McMeel will be attending to present the film for its Central Asian premiere. Coda will screen at this year's Go Shorts International Short Film Festival in Nijmegen, Netherlands from April 11-15, where Alan Holy will be presenting the film. We will be in Clermont-Ferrand to present AN ISLAND this February. Please look us up and get in touch. New & finally mobile friendly site up and running, news and new artwork to appear here in future, more regularly than in the past.